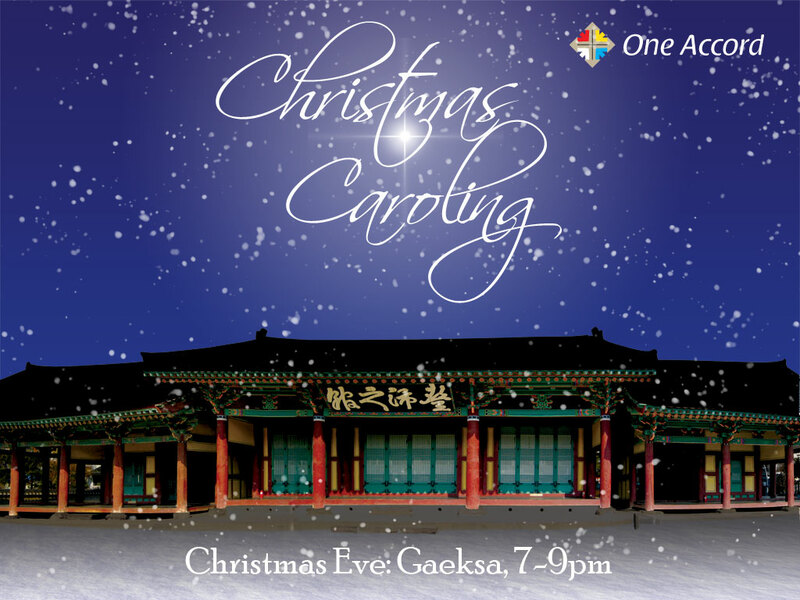 In the West, Christmas caroling is very nostalgic and traditional aspect of the Christmas season. We’ve all (Westerners anyway) seen at least a handful of movies and TV shows during the season that show carolers outside, in front of some house, singing. It seems to build unity, fellowship, camaraderie, and warmth in our hearts during the cold winter season, so we decided it would be a fun thing to do with One Accord churches. The event began at Gaeksa downtown and progressed through the downtown area toward Hanok Village where it was eventually ended early due to the cold. Still, it was quite a unique experience. The PPT flyers (above): As you can see, I designed two flyers based on the poster. 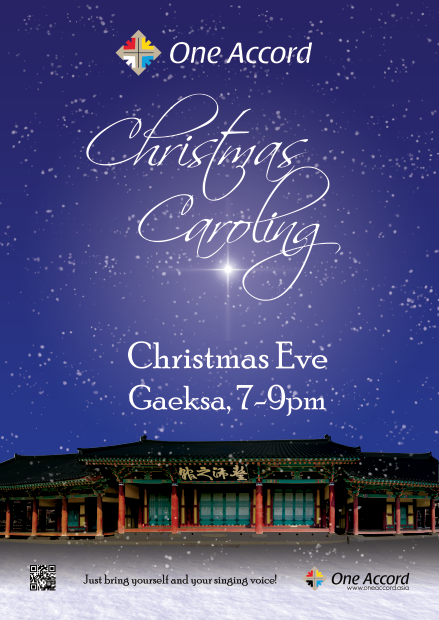 The first has the Star over the Gaeksa house. The second has the Star contained inside the “t” in “Christmas”. The website design (below) shows which one I eventually preferred – the one with the star IN the words. 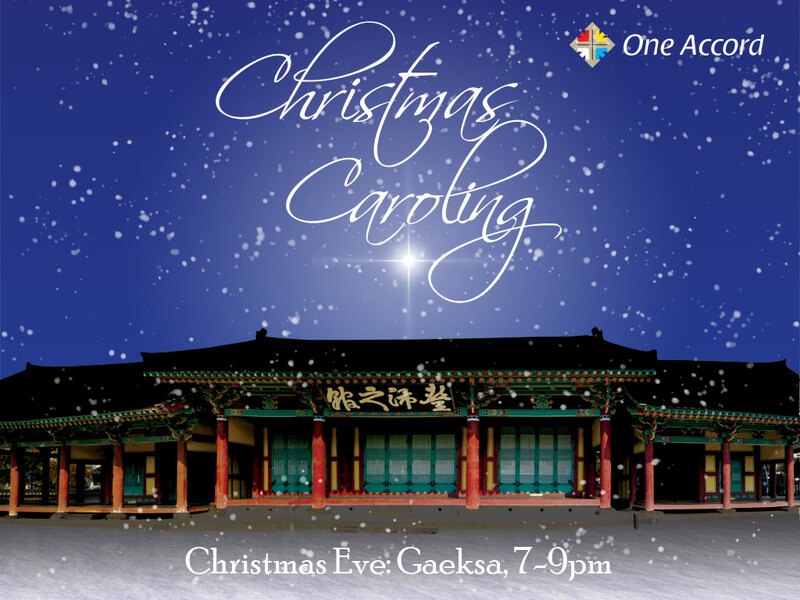 The poster image above was created using a daytime, summer photo of Gaeksa (with no snow). It was done in Photoshop. I just updated the cover image and links on the website for this event. 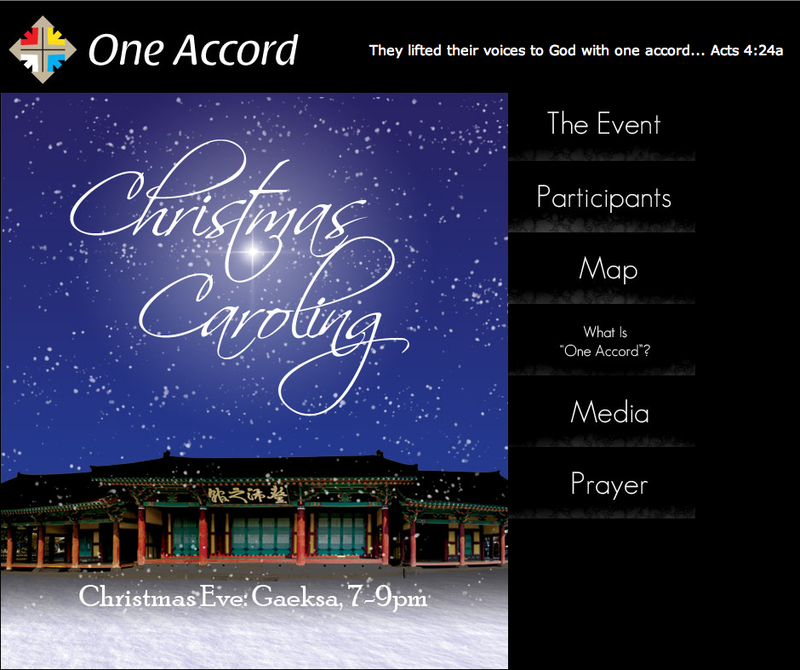 The site was originally (and quickly) designed and coded for the FIRST annual One Accord worship night on October 22, 2011. It was so cold, we ended the event about an hour early. Santa Claus was unable to attend (sick staff at his Diner forced him to work the night). We were able to fellowship a bit after – some to the Diner, others to another house.